From its Toyota Safety Sense™ system to its array of trim models, sporty styling, satellite radio, and moonroof, the Toyota Camry is one impressive sedan!" 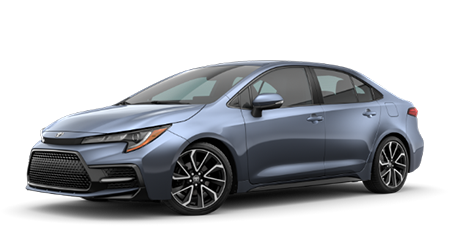 Loaded with technology features like a 7-inch touch screen display, backup camera and voice recognition, the Toyota Corolla is a driver-assistive vehicle that shouldn't be missed!" The Toyota RAV4 is an SUV the whole family can enjoy, as it offers a Pre-Collision System with Pedestrian Detection, foot-activated liftgate and Entune™ Premium JBL® Audio." Drivers looking to enhance their on-road adventures opt for the Bluetooth®, sport-tuned suspension, Blind Spot Monitor-equipped, competitively priced Toyota Highlander!" Our family owned and operated Toyota dealership in Hillside, New Jersey provides customized shopping plans, comprehensive financing assistance and professional maintenance work, so don't hesitate to trade in your current vehicle and upgrade to a new Toyota Camry sedan, drop by Route 22 Toyota today! If you're a driver in the area that is tired of dealing with dummies, visit our car dealer to enjoy the stress-free automotive experience that you deserve. As part of the reputable BRAM Auto Group, Route 22 Toyota is a trusted dealership that looks forward to assisting you soon. Feel free to contact our team at (855) 618-7352 no matter the vehicle need you're looking to fulfill. Our Route 22 Toyota sales department can introduce you to both the new and used cars we have for sale while our finance center starts to explore the competitive loan terms you can put to use. 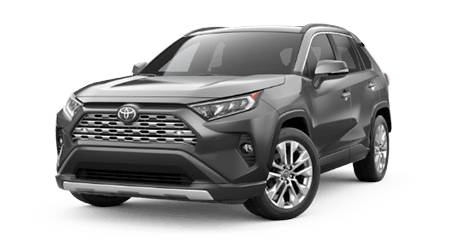 Our new and used Toyota dealership near Elizabeth, NJ is an industry leader in innovation, so don't hesitate to experience the difference our professional assistance will have on your RAV4 repair or maintenance process. Feel free to browse our resources online from your nearby Newark home to learn more about our dealership and the services we provide or simply drop by for a personalized experience! 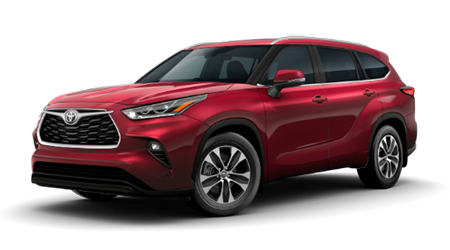 Route 22 Toyota offers competitively priced Toyota models, so if you're a driver in Hillside, NJ that is looking for new cars for sale, visit us to learn more about models like the Corolla, Tacoma and Prius. Our sales center is familiar not only with the ToyotaCare maintenance and roadside assistance plan that comes with a new purchase but with the models that come standard with Toyota Safety Sense, a suite of driver-assistive features. Contact us today to learn more about amenities, add-on features and warranties! Enjoy Toyota financing services near Newark, NJ, visit our new and used dealership today! Our Route 22 Toyota's finance department works with auto shoppers of all backgrounds and credit scores, and we're dedicated to ensuring you're able to review comprehensive packages that offer competitive terms. From sub-prime credit scores to no credit or those with pristine scores, Route 22 Toyota has a loan solution for you. Visit us to apply for Toyota financing or use our interactive website to complete one of our credit applications from your nearby Elizabeth home now! Our new and used Toyota dealer is able to assist with your Original Equipment Manufacturer needs, as we sell genuine auto parts and accessories. Get in touch with our parts department to learn about the benefits that OEM products provide or to receive help with part identification. Drivers in nearby Newark, New Jersey can even place a Toyota part order online from their home, thanks to our dealer's secure form. Protect the performance of your vehicle, use genuine auto parts from Route 22 Toyota when completing maintenance work at home! Motorists looking for used cars for sale near Elizabeth, New Jersey that offer like-new quality turn to our dealership in Hillside. Here at Route 22 Toyota, we have a range of pre-owned options to explore, including Toyota vehicles and models from other reputable brands. Used car shoppers that are looking for an added layer of peace of mind are encouraged to reach out to our auto sales department to hear about the multipoint inspection and reconditioning process our Certified Pre-Owned Toyota vehicles go through! With assistance from the ASE and Toyota certified technicians over in our dealership's service department, drivers in the Hillside, NJ area can keep their Highlander running smoothly. As your local Toyota dealer, we keep our maintenance prices competitive, offer service specials and use genuine components to complete work, so don't hesitate to schedule an auto service no matter the brand of vehicle you drive. Our Route 22 Toyota team will care for your ride and get you back on the open road in a timely manner! In addition to being the Smart Way to Buy™, new and used car shoppers buy from Route 22 Toyota for a number of reasons. We pride ourselves on being an auto industry leader in innovation and provide customized sales, finance and maintenance assistance. We're also a dealership that stays actively involved in the communities we serve, like sponsoring the local Boys and Girls Club, so if you're looking to shop a car dealer that gives back to the community, contact Route 22 Toyota in Hillside, New Jersey today!